Article 13: DON'T PANIC! Your Memes Aren't Going Anywhere! How Article 13 struck fear in the meme-o-sphere, and why we should be optimistic about the future of memes. DISCLAIMER: Here at Meme Insider, our goal is to remain apolitical so as not to become divisive, and to appeal to everyone. In this article, we are NOT taking a stance — FOR or AGAINST — the EU’s Copyright Directive. It’s a much more complicated issue than just memes, and we are only highlighting the effects that it may have on meme culture in an attempt to help the market endure, regardless of the outcome of this situation. Thank you for understanding. If you've been on the internet at all within the past month or so, you’re likely already familiar with Article 13 (and possibly Article 11). For those who are not familiar, this is a section of the EU Copyright Directive that was recently voted on (for which the final vote will be in January 2019), which may require major social media sites to include an upload filter that removes copyrighted material using an automated system. The idea behind it is that current copyright laws are out of date, and needs to be updated to accommodate the current internet landscape. There is growing concern, however, that this could be disastrous for the internet at large, particularly the massive community of meme enthusiasts. "Most critics of Article 13 are basing this purely on speculation." But we’re here to tell you not to worry too much. Our memes may change with this directive, but they will never truly die. Allow me to give you a few reasons to remain hopeful, with varying levels of optimism, about these upcoming changes. This is the first thing that should be pointed out. An EU Directive is not a law. It’s simply a set of objectives that members of the EU are expected to uphold by passing their own form of legislation. 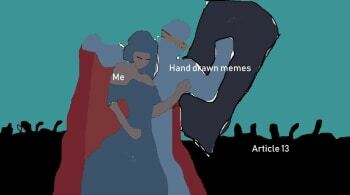 The legislation passed by individual members of the EU can look much different in the end, and those countries may well end up with legislation that gives memes the benefit of the doubt. Most critics of Article 13 — those who say that memes will die by the hand of the EU — are basing this issue purely on speculation. There are two typical concerns: 1. 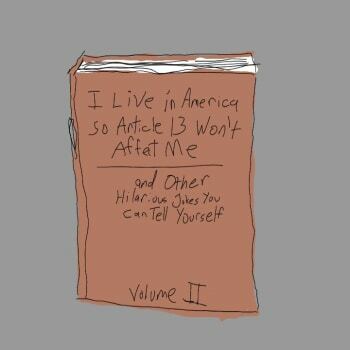 The directive will require memes (many of which include copyrighted material) to be removed. 2. Even though the directive excludes memes, any automated filter will be unable to detect the difference, and memes will be killed in the crossfire anyway. The final vote won’t be brought to the floor until January 2019. The directive has a possibility to be voted down, or undergo radical changes by that point, where memes can be deemed safe. Those who are concerned for the safety of memes have some time to be vocal and express their concerns, with the hopes that the directive can be updated to accommodate these concerns. It’s January 2019. The Directive has passed, and any memes that use copyrighted content are required to be filtered out. But the meme community is too big to fail. No one is going to just give up their memes without a fight. So what happens now? A new subreddit, titled r/bootleg_memes, has already started and has amassed over 16,000 subscribers in just a few days. It’s a sub where users post hand-drawn versions of popular memes for use as templates. Artistic impressions of copyrighted material are not only excluded from the directive, but they’re also dissimilar enough to bypass a filter. "The meme community is too big to fail." We may very well see a new age of memes — one where the barrier to entry into the world of OC memes is a bit higher, resulting in higher-quality memes. This may even contribute to a desaturation of the meme market! In this scenario, we won’t stop seeing memes — they’ll simply change form. Okay, an Even-The-Worster Case Scenario. Memes still can't make it past the filter, and as a result fail to make it onto social media platforms. We very well may end up seeing underground meme exchange platforms — “Meme Speakeasies,” if you will — where memes can continue to be exchanged, unfiltered. Imagine Discord servers where people exchange their ill-gotten memes, all supported by an environment where there is no filter to pass. Memes are too deeply-ingrained into our culture to stop now, even if that means resorting to Prohibition-style meme sharing platforms. Can you picture a world where memes don’t exist? Where all of our talented meme creators are out of a job, with nothing to do and no prospects? If you can, then you’re imagining a fairy tale. This can never happen. Memes can never die. They may change form. But they’ll never die.